When Microsoft and Facebook announced that they were partnering to integrate Facebook and Bing for social network-powered search, it confirmed something I thought Monday: Windows Phone 7 is the real Facebook phone. I don't know whether Facebook has a secret team working on a phone where they control the OS. But the company don't need one. It's already deeply integrated into Android and iOS. Now with the Microsoft partnership, it's tied to the most socially optimized smartphone ever brought to the market. "This is, I think, one of the most exciting partnerships we've done on the platform so far," Facebook CEO Mark Zuckerberg said at the Bing announcement Wednesday. "Our view is that over the next five years we expect that almost every industry is going to be disrupted by someone building a great product that's deep in whatever area that industry is, plus is extremely socially integrated." The first Windows Phone 7 handsets are due in stores November. The OS is Microsoft's complete do-over on mobile, after its predecessor Windows Mobile tanked in popularity and market share in the wake of more consumer-savvy handsets such as Apple's iPhone and Google's Android-powered smartphones. 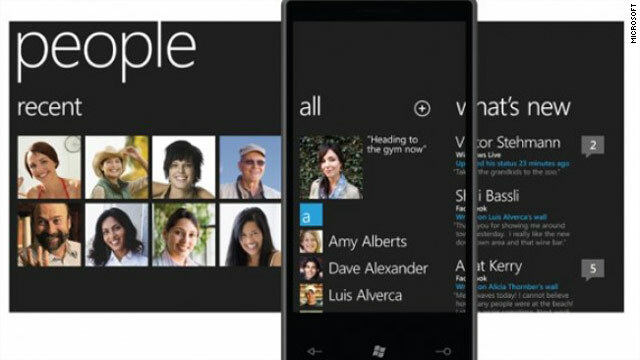 Every aspect of Windows Phone 7 is geared to social networks: phone, contacts, gaming, photos, even Office. Focusing the phone around Hubs doesn't just mean that local client apps and cloud apps are grouped next to each other. It means that the local client and cloud work together. 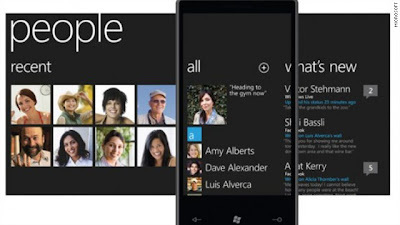 Microsoft tried to explicitly build a social networking phone featuring Facebook, Twitter, Flickr and MySpace with the Kin. The Kin failed and was killed by Microsoft, mostly because it wasn't a full-featured smartphone (it was a fork of Windows Phone 7), but required a smartphone's data plan.